TOKYO – Prosecutors are expected to charge Nissan Motor Co. as a corporate entity, alongside ousted Chairman Carlos Ghosn, for allegedly violating Japan’s financial laws, a report said. Nissan is expected to be charged with violating the Financial Instruments and Exchange Act for allegedly under-reporting Ghosn’s compensation for five years to the fiscal year ending March 31, 2015, the Nikkei reported Dec. 7 without identifying sources. 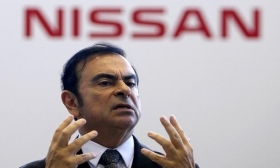 The charges are expected to come Dec. 10 from the Tokyo Prosecutor’s Office along with formal indictments against Ghosn and Nissan Director Greg Kelly, the newspaper said. Ghosn and Kelly have been locked in a Tokyo detention centre since their Nov. 19 arrest on suspicion of hiding tens of millions of dollars in deferred income promised Ghosn. Both men have maintained their innocence, and neither has yet been charged. Nissan was cooperating with investigators, he added. A person familiar with the matter said Nissan had been preparing for the possibility of charges since the allegations against Ghosn and Kelly first emerged last month. Prosecutors say deferred compensation needed to be fully reported by Nissan in securities filings, even though the amount hadn’t been paid out yet, because it was a future liability against the company, a person familiar with the matter say. An internal probe by Nissan has identified some $80 million in unreported deferred compensation promised to Ghosn, the person said. News that the company may also be indicted adds a new wrinkle to the unfolding scandal. CEO Hiroto Saikawa apparently signed documents relating to plans to pay Ghosn’s deferred compensation after he retires in the form of a consultant fee, the Nikkei said. But Saikawa apparently didn’t understand that the document was designed to set up deferred payments, and prosecutors believe he was not involved in misstating regulatory filings, it said. Separately, Ghosn has added a new Japanese lawyer to his defense team. English-speaking attorney Go Kondo, who formerly worked at the Boston Consulting Group, will complement Motonaru Ohtsuru, a high-profile former prosecutor. Ghosn has also tapped U.S.-based law firm Paul, Weiss, Rifkind, Wharton & Garrison. Prosecutors face two hurdles in trying to convict Ghosn, a former deputy at the Tokyo Prosecutor’s special investigation unit told Japan’s Shukan Shincho. They must prove that the amount and timing of future payments are definite, Masaru Wakasa told the magazine. Also, they must show that under-reporting the compensation amounts to an “important matter” as required by the law in order to constitute a punishable crime. Defense lawyers will likely argue that the deferred compensation was still undecided and thus not an important matter, since it wasn’t approved by the board of directors, Wakasa said. Still, Wakasa said Ghosn has a 60 per cent to 70 per cent chance of being convicted. At the same time, Wakasa added, prosecutors may also opt to build a case of aggravated breach of trust against Ghosn. That case would be built upon allegations he misappropriated company funds for personal use, such as buying or renting homes. Nissan’s internal probe alleges he funneled Nissan money through a subsidiary to pay for housing in Paris, Amsterdam, Rio de Janeiro and Beirut, according to a person familiar with the matter. Naoto Okamura contributed to this report.